Herwig Kogelnik was born in Graz, Austria, on 2 June 1932. He received his Dipl. Ing. degree from the Technische Hochschule Wien, Vienna, Austria in 1955, and a Doctorate in 1958, also from the Technische Hochschule. In 1960, he received a Ph.D. from Oxford University. Kogelnik's groundbreaking work in photonics and optical communications has revolutionized modern lightwave communications technology. He is credited with helping to revolutionize global information movement and management. In 1961, Kogelnik joined Bell Laboratories, Holmdel, New Jersey, where he served as Director of both the Electronics Research Laboratory and the Photonics Research Laboratory. His research focused on optics, electronics, and communications, including work on holography, photonics, laser resonators, and Gaussian beams. Along with C.V. Shank, Kogelnik pioneered the distributed-feedback (DFB) laser in 1971. Additionally, his leadership in the development of practical wavelength division multiplexing (WDM) led to a groundbreaking dense WDM system, further revolutionizing lightwave communications by expanding capacity and lowering costs. In the area of photonic switching, Kogelnik's research with R.V Schmidt led to the development of the reversal directional coupler wavelength switch, a mainstay of experimental photonic switching systems, and a necessary component in ultra high-speed optical networks. Under his leadership, the Photonics Research Laboratory developed many other fundamental components of optical communications, including high-speed avalanche photodiodes, tunable semiconductor lasers, photonic integrated circuits, and high-capacity amplified transmission systems. Kogelnik has earned thirty-four patents through his career and is the author of eighty-five articles. He is a Fellow of both the IEEE and the Optical Society of America, which he served as Vice President in 1987 and President in 1989, He is also an Honorary Fellow of St. Peter's College at Oxford University. 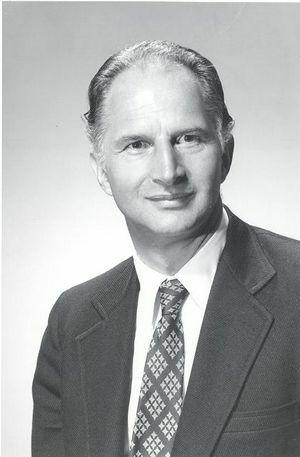 Kogelnik has received numerous awards, including the Optical Society of America's Frederic Ives Medal in 1984, the IEEE David Sarnoff Award in 1989, the Joseph Johann Ritter von Prechtl Medal from the Technical University of Vienna, Austria in 1990, and the 1991 IEEE Lasers and Electro Optics Society Quantum Electronics Award. He received the IEEE Medal of Honor in 2001 for fundamental contributions to the science and technology of lasers and optoelectronics, and for leadership in research and development of photonics and lightwave communications systems. He was elected to the U.S. National Academy of Engineering in 1978 and the U.S. National Academy of Science in 1994. This page was last edited on 9 January 2019, at 20:56.